Lewis H. Roberts, 91, of Portage Lakes, passed away at his home surrounded by family on November 18th, 2018. Lew was born in Peru, Indiana, to Lewis E. Roberts and Esther Nell Roberts. He graduated from Peru High School in 1945 and served in the US Navy in China during WWII. He returned to marry his high school sweetheart, Nina Foy, in 1948 before graduating with a degree in physics from Indiana University in 1952. 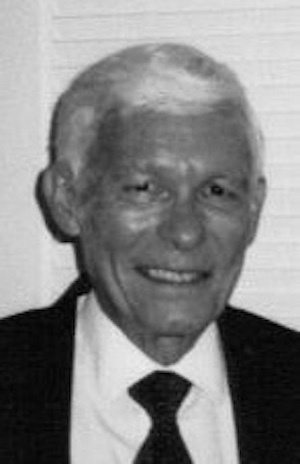 Lew was an electronics engineer for Goodyear and Lockheed Martin for 36 years. An avid sailor, his adventures included sailing the Great Lakes and was past Commodore of South Shore Yacht Club and National One Design Racing Association. Lew volunteered as Lighting Director at Weathervane Playhouse for decades and served on the Coventry Township Board of Zoning Appeals. He was a ham radio operator and enjoyed traveling with family. The poet laureate of the family, Lew left us with memoirs and poems that express his love of life and family. He will be deeply missed by his wife Nina, sons Lewis Eric (Elaine) Roberts, and Mark Earl (Sherri) Roberts; and grandchildren Lewie, Megan, Rachel, and Kenny Roberts. A Celebration of Life service will be held on Saturday, December 1st at 2 PM at First Congregational Church, 292 E. Market Street, Akron. In lieu of flowers, contributions may be made to the charity of your choice or First Congregational Church of Akron. Condolences can be shared with the family online at www.heritagecremationsociety.com.